City satisfies – harvest the city. This initiative aims to draw attention to the importance of being aware of the food that urban spaces can offer and how to benefit from it. The idea is not only to supply schools with food donations, but also to educate children to become more conscious about their food consumption. As the city grows, green areas should also expand. 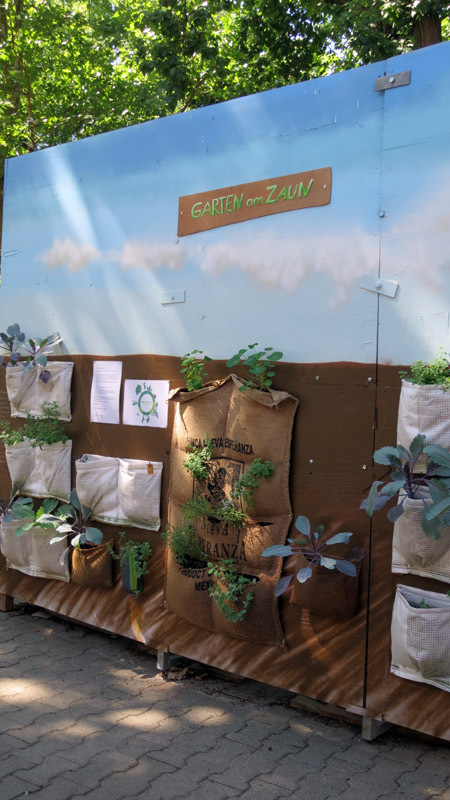 In order to raise awareness for this topic, a typical element of the urban space, a construction site was chosen and a fence garden, which can be harvested by the community, was planted around it.